Well, this was a different way to start out a new series of numbers! Do I really need to say anything more than Seat Cushion Night? It is true that Will the Thrill and Rasmus may have gotten more attention had they spent more time wearing the Birds on the Bat. We can always thank Colby for his contributions in 2011, but he will best be known for the trade similar to Guerrero’s tenure with the Cardinals. 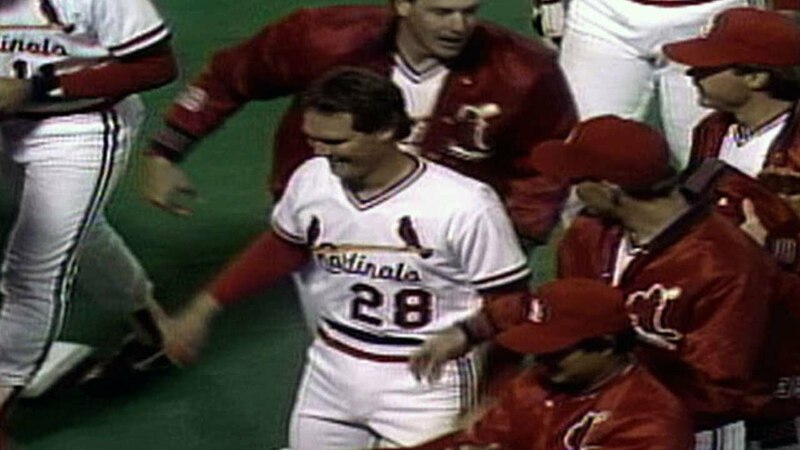 For anyone in St. Louis, #28 should be associated with Herr and the baby blues of the 80’s. Now don’t get me wrong, it is sure to be issued out again maybe as soon as this season but will that player be able to do what is now considered nearly impossible. Take these awe-inspiring stats into consideration and see if there is anyone playing today that can compare. Herr crushed a whopping 28 home runs over his 13-year career and still averaged more than 60 RBI. One of his two homers during the 1987 campaign was the infamous walk-off grand slam against the Mets, and Herr finished 4th with 83 runs batted in for the National League champs. That season was only the second most impressive of his Cardinals’ tenure, however, given the magical 1985 run would not have been possible without a certain second baseman. Herr finished 5th that year in the MVP vote but only because he was surrounded by teammates. Herr was like many of the unsung heroes from the three World Series teams though, and he didn’t finish up with the Cards. A decade under the Arch hopefully does get him a rightful place in Ballpark Village, as his plaque would certainly show just how great the Whiteyball era was in St. Louis.